The Fort Lauderdale real estate market is showing signs of a recovery on the horizon. However, as we enter a new Fort Lauderdale real estate market , with lower inventory, certain buildings deserve a buyers special attention, Galt Ocean Club is one of those buildings. Read more about The Galt Ocean Club in Fort Lauderdale, Florida. 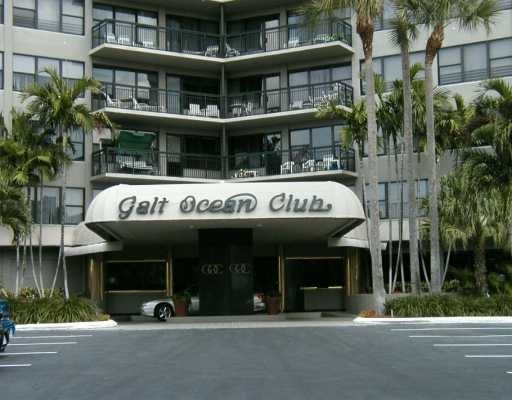 Built in 1963 the Galt Ocean Club remains one the Galt Ocean Mile's elegant buildings. Often even in the current market you may find nothing available for sale in the building. The building features a 24 hour attended lobby, underground parking, and a beautiful pool area. At Eric Miller and Associates, "We're here to help" with your next Galt Ocean Club purchase or sale. Contact us directly at (954) 383-8170.